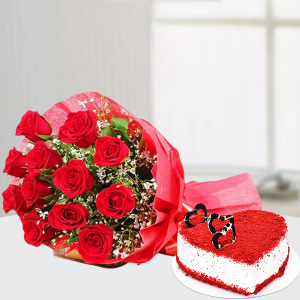 Celebrate the most romantic day of the year by ordering Valentine's Day Flowers and Cake online from MyFlowerApp. 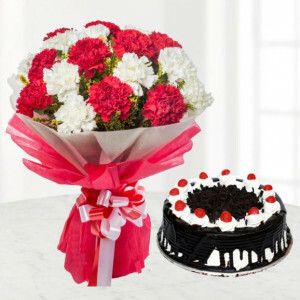 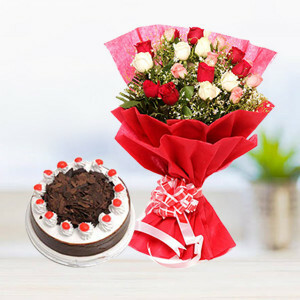 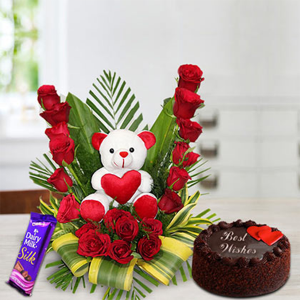 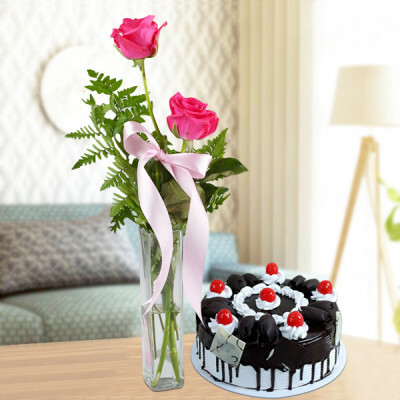 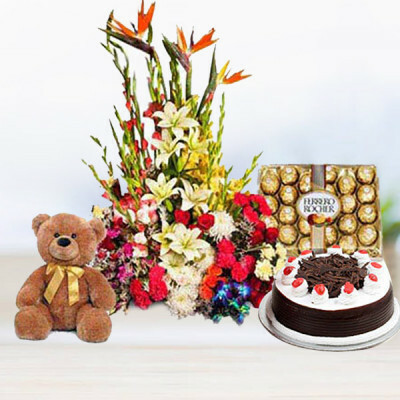 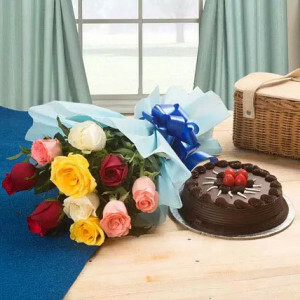 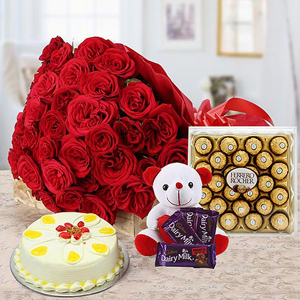 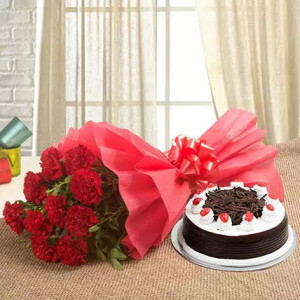 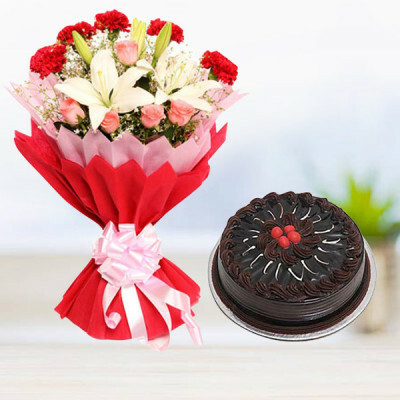 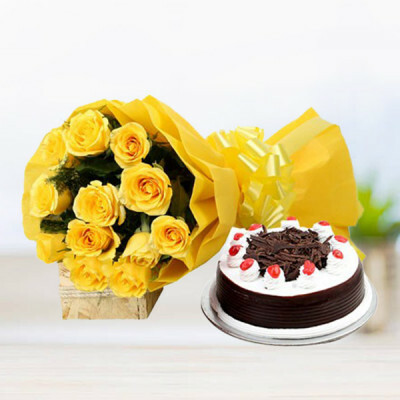 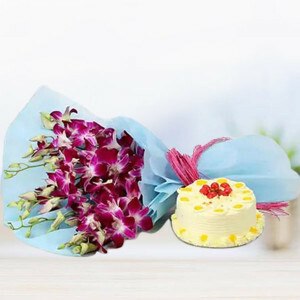 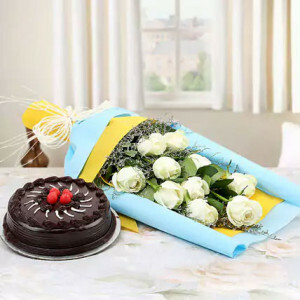 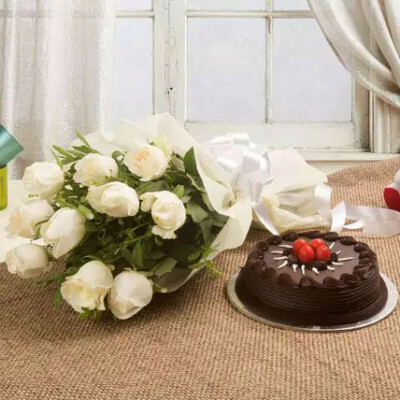 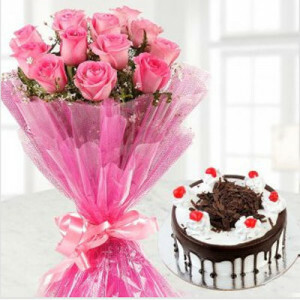 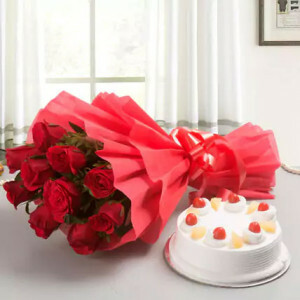 Say ‘I love you’ with romantic flowers along with appetizing red velvet, chocolate, truffle, butterscotch and more cakes delivered throughout India with free shipping. 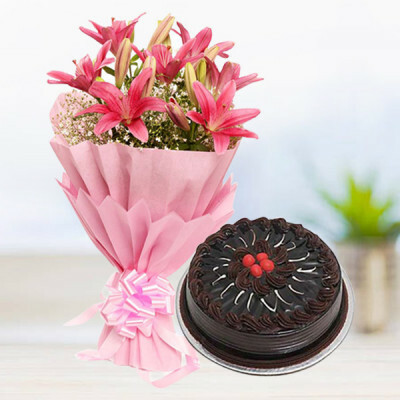 6 orchid bunch with half kg chocolate cake. 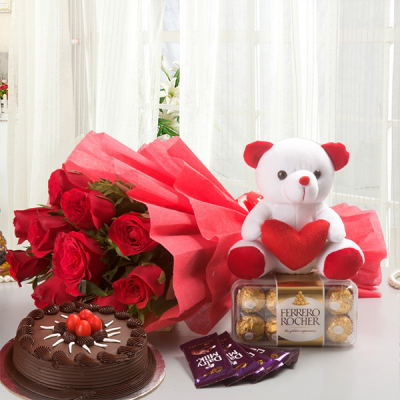 15 Red roses, teddy, Ferrero Rocher, Cake, and card Combo. 6 asiatic lily bunch with half kg chocoalate cake. 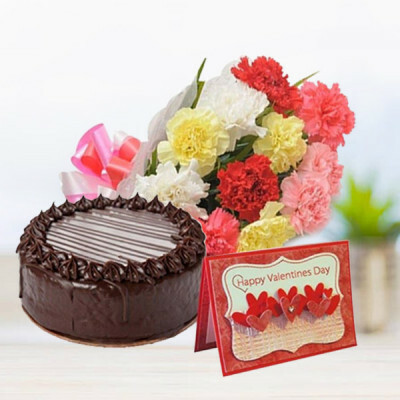 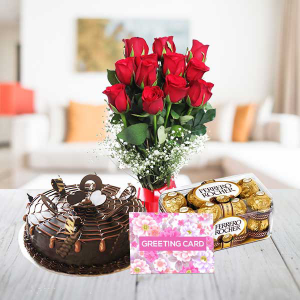 Mix Carnation, chocolate cake, and card combo. 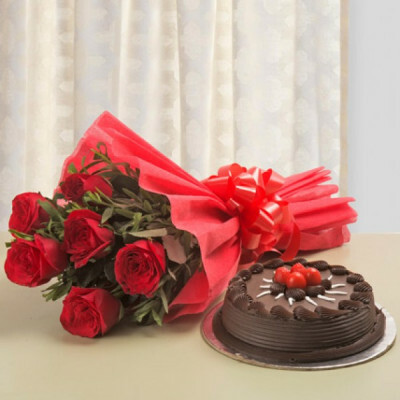 10 colourful roses bunch with half kg chocolate cake. 35 red Roses in heart shaped arrangement, 1/2 Kg chocolate cake & a greeting card. 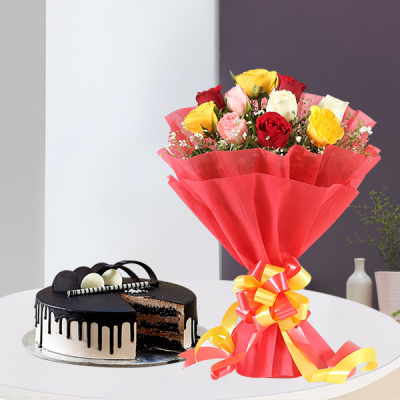 Designer arrangement of 20 pink roses with half kg blackforest cake. 12 Red Roses, 16 pieces of Ferrero Rocher’s Chocolates, half Kg cake &Greeting card. 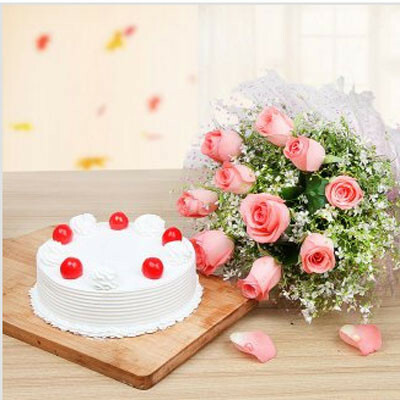 Do you know what is better than cake? 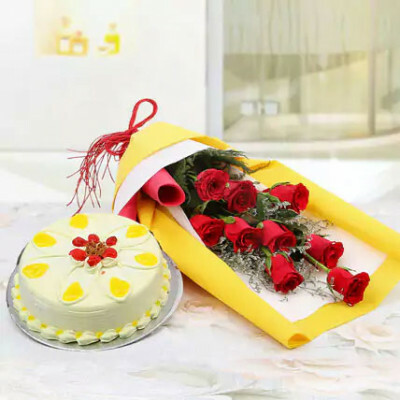 Flowers and cake! So make your Valentine's Day celebrations even better by ordering Flowers and Cake combo online, for your little, intimate party between two. 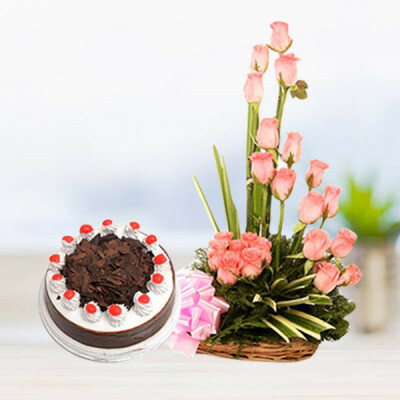 Articulate your love with elegant flowers set in romantic arrangements and scrumptious cake in your favorite flavors like chocolate, vanilla, butterscotch, and so on. 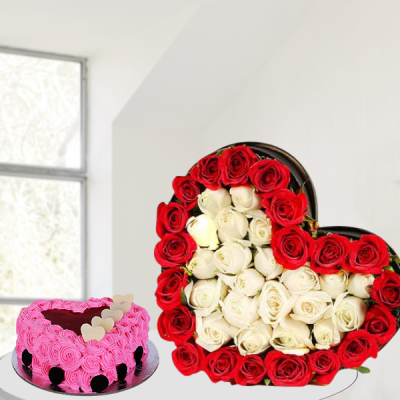 Give them a more amorous look by getting the flowers set in ‘I Love You’ arrangement or get a heart-shaped cake, or maybe even both. We will deliver your love, anywhere in India, whenever you want. 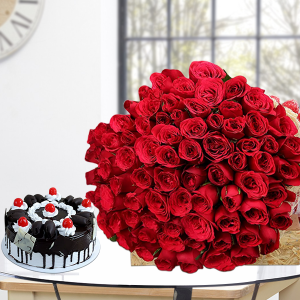 For the forgetful, we offer express delivery and for the romantic, we provide the option of midnight delivery. Celebrate Valentine's in style this year, with MyFlowerApp. 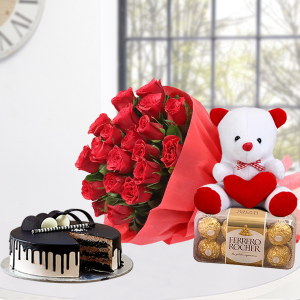 Valentine's Day offers the best opportunity to all the couples to express their undying love for each other. 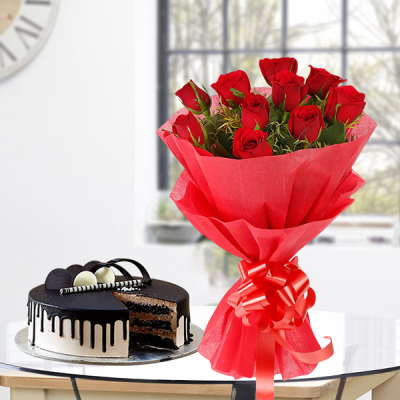 So take this occasion to say ‘Te Amo’ to your beloved, with a twist. To the tradition of giving flowers, add your own design by sending them online along with their favorite cake. After all, we all know who girl’s best friend really is – cake. 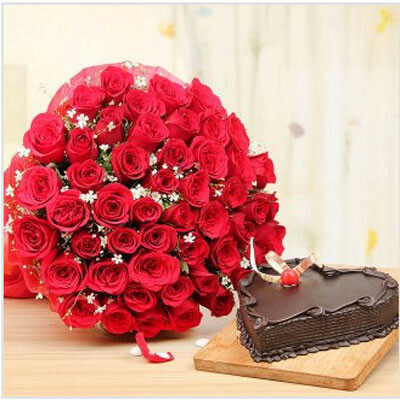 A bouquet of red roses or her favorite flowers in gorgeous romantic design makes the gift complete and amorous. 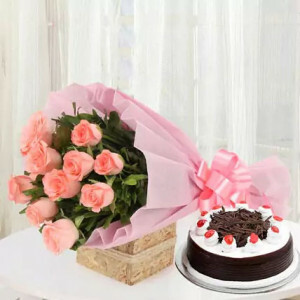 Let your gestures speak for you, but include a loving message like, “The more time we spend together and the more I get to know you, the deeper and deeper I fall in love with you. I cannot imagine my life without you. 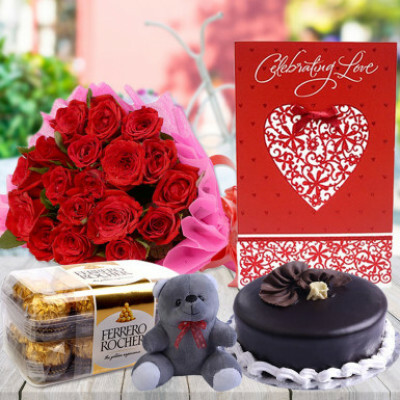 Happy Valentine's Day sweetheart!” Send her your ‘Symbol of Love’ with red roses and chocolate cake, along with a love letter, or tell her she is ‘Bright Beautiful’ with a huge rose bouquet and a heart-shaped cake. 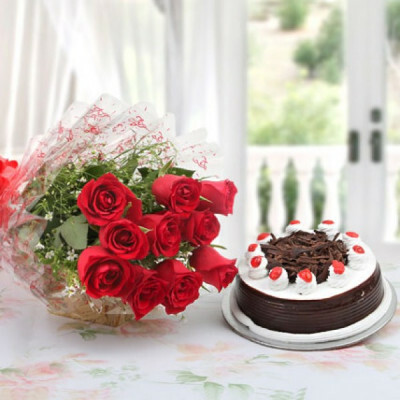 Whatever her preferences, you will find the best Valentine's Day Flowers and Cake combo here, at MyFlowerApp. If you are sad because the love of your life is far from you on Valentine's, MyFlowerApp is here to save the day. 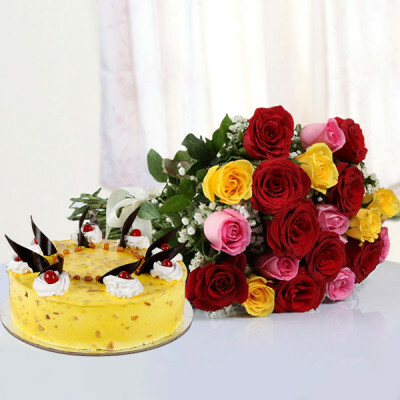 No matter how far apart you both are, we will deliver your love, anywhere in India, or abroad. 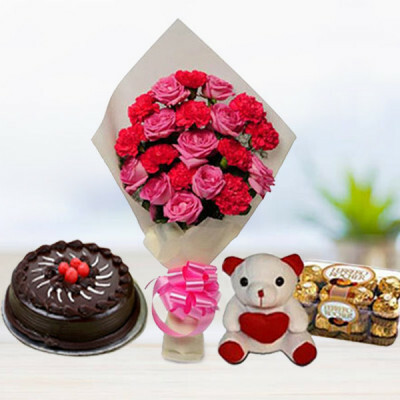 We offer free shipping everywhere in India, including major cities like Delhi, Mumbai, Chennai, Kolkata, Hyderabad, Gurgaon, and Pune. 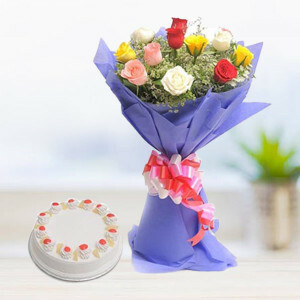 We also deliver to most countries including Canada, Australia, UK, USA, and more.